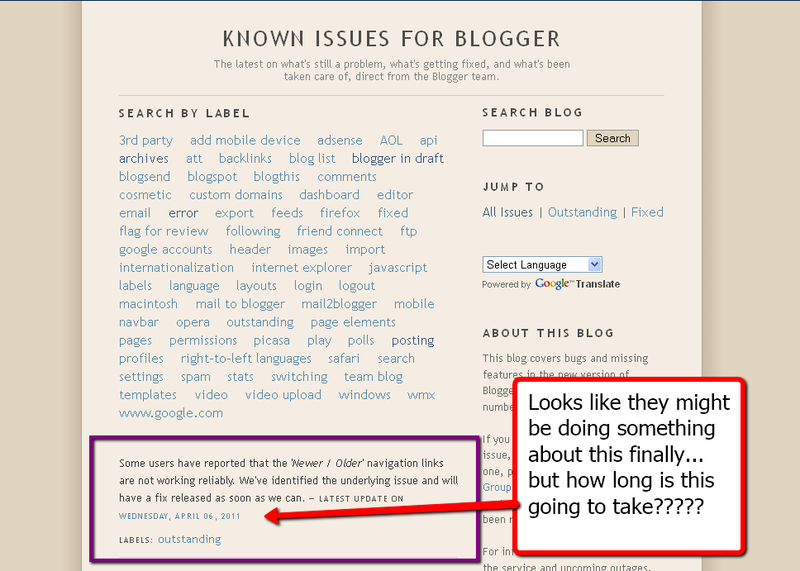 Here's the latest news re the error message for Older Posts. Looks like they are onto it - but how long is it going to take, I wonder? Meantime, what about the rest of the problems? Well, with the speed of Blogger being equal to the speed of *Frozen Tree Sloth*, I'm thinking maybe by the END of our lifetimes??? And then it will be something else. I'm still having problems leaving comments; I generally copy my comment, then refresh the page and USUALLY I'll get the box and verification word. BooHoo!! I know how frustrating it can be with blogger and computers in general...My desktop and my laptop both crashed and burnt in the same week...just got them back. Now Thomas has a "rogue antivirus program" that has shut his laptop down! Maybe try a different browser? We use Safari and are experiencing much less of those problems people keep exclaiming over. It may be a lame idea, but worth a try. Checking in on you! 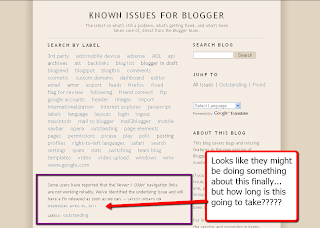 You mean to tell me your blogs are still not working?? Oh my gosh..what are they telling you now?